Nicholas County High School participated in spirit week from Oct. 1st through 5th with a large number of participants. Last Monday started spirit week off with pajama day. Tuesday was dress for success day, and Wednesday was favorite Disney character. Thursday was decades day and Friday was blue and gold day, supporting our school. Mrs. Murphy, an English teacher, attended spirit week. She took part in career day so she could wear her scrubs. 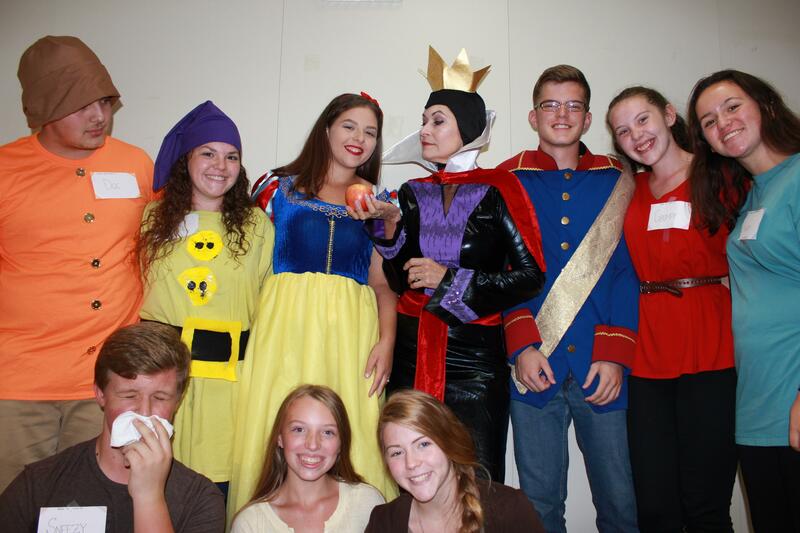 She said, “I thought there was more participation this year.” She also thought Mrs. Tucker participated the most in spirit week and had the best costume on Disney day by dressing up as the evil queen from Snow White. Senior Mike Rader won spirit week as well as four others: Morgan Poff, Scott Bane, Amber Lasher, and Kenzie Yeager. Mike Rader dressed up all week. Monday he wore casual pajamas with funky socks, Tuesday he was a professional lawn care associate, Wednesday he was Woody from Toy Story, Thursday he was a greaser with a Whitney Houston shirt, and Friday he wore blue pants and a gold hoody. His favorite day was pajama day, and favorite outfit was the greaser. “I was a little surprised that I won,” he said.